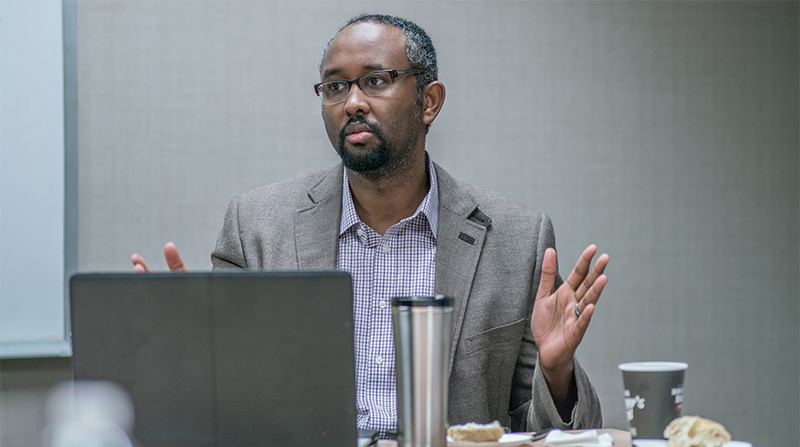 CAIR-MN, or the Council on American-Islamic Relations, is unique in the Twin Cities nonprofit community – and one whose relevance appears to increase by the day. Its mission is to enhance understanding of Islam, encourage dialogue, protect civil liberties, empower American Muslims, and build coalitions that promote justice and mutual understanding. 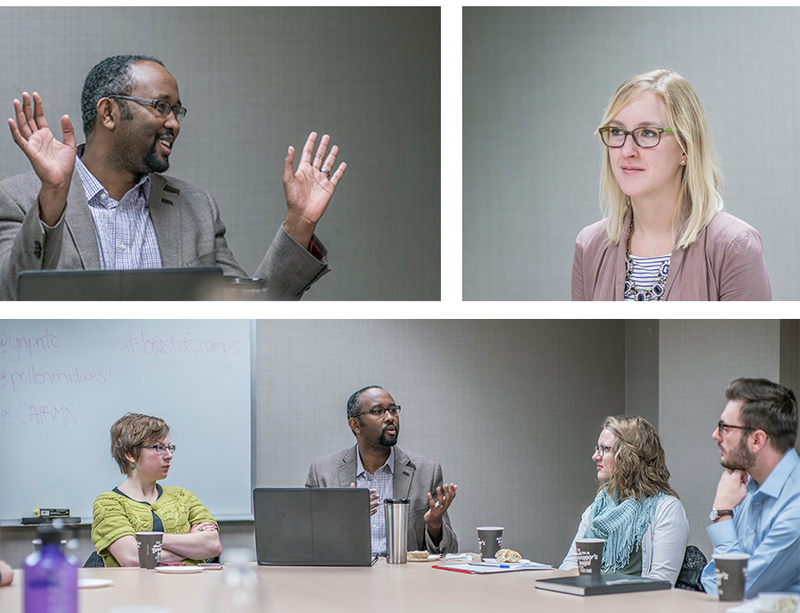 At a recent YNPN Twin Cities Leadership Breakfast, Executive Director Jaylani Hussein answered questions from the young professionals present about his own leadership journey, and how he sees his role in advancing the Twin Cities’ understanding of the world’s second-largest religion. Can you talk about your professional journey? I’ve always loved working with people, and spent a lot of time in my twenties working with youth in various capacities. But then I had this career that I wanted, and that my dad wanted for me, which was to become a civil engineer. And so at Anoka-Ramsey Community College I prepared myself to become a civil engineer. I graduated with a degree in urban planning, and as a good graduate I decided to get a job in urban planning. It was a nightmare! While I was in school, I got involved in an organization called ARAHA (American Relief Agency for the Horn of Africa), which is a relief organization that works in East Africa. I think that organization got me involved and very engaged with nonprofits. I became their technology person, then I became their national speaker, so I would travel across the United States and fundraise for them. I saw it go from $30,000 annually to about $2.8 million annually. So that was a great education for me about not only how nonprofits grow, but also how they work internally. 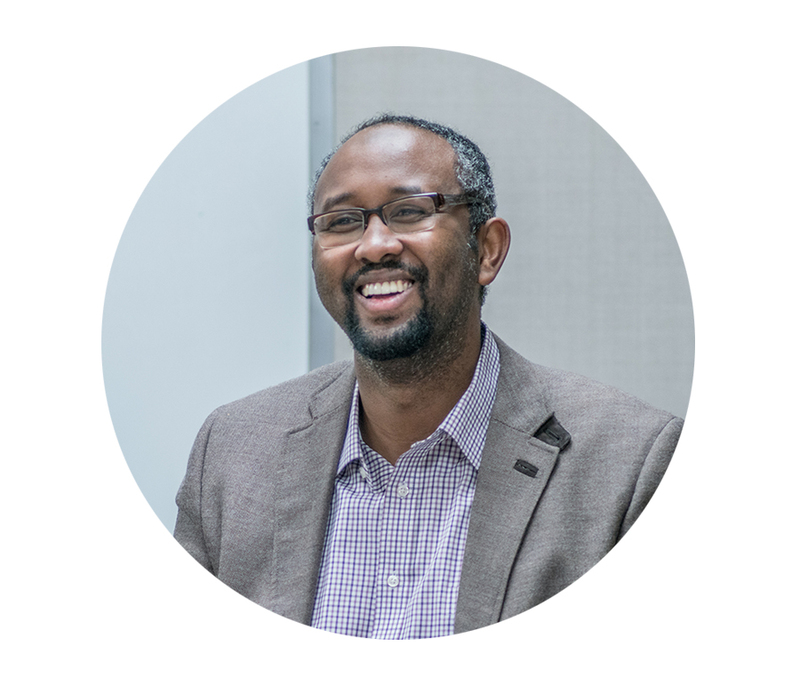 How did you come to be the executive director of CAIR-MN, and what have been some of the challenges with assuming that role? The position at CAIR-MN came up, and honestly, you know, it wasn’t really the kind of job that I applied for. The leadership was needed, there was a void here, and there’s not that many people who can fill it. And when I made that decision, it was like: I had an MPR interview on Wednesday, on Thursday there was the Charlie Hebdo attacks, and there you go, that’s my first week on the job. We have our work cut out for us. Right now we have about fifty people who have been fired from a plant in southern Minnesota over prayer. We’re dealing with a case involving cemeteries. Almost every week we have something new we are responding to, either with the media or with some kind of workplace discrimination, on top of the regular duties that come with running a nonprofit like administrative work and planning. How do you create or positively influence workplace culture? You get people who are very passionate. You continue to motivate people. 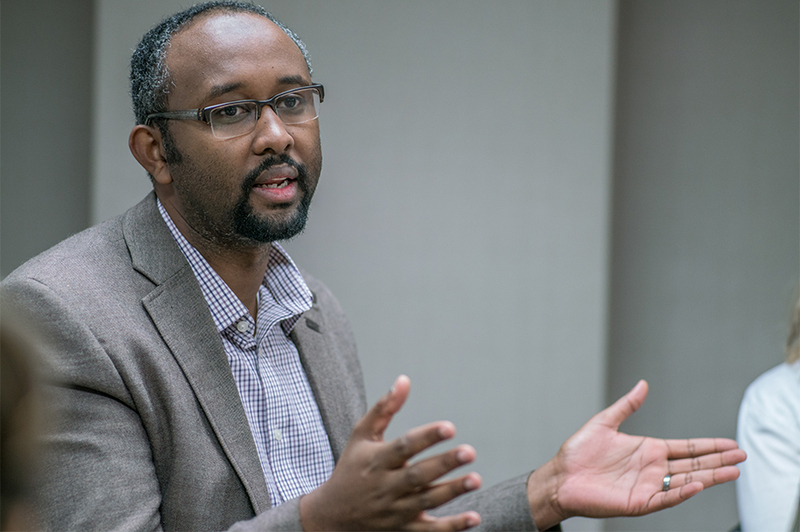 You don’t want to create a very hierarchical structure, where the executive director only talks to the “important people.” No, it has to be more team oriented. 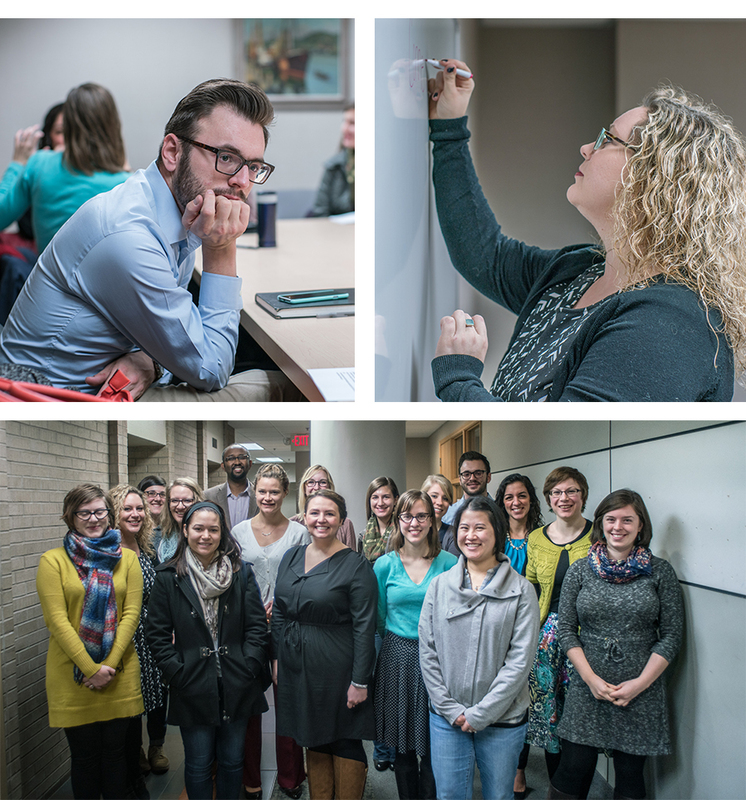 When you have staff meetings, it should feel like an opportunity for everyone to have input. The environment should be a place where everyone is heard. In order for you to be competitive enough to win those grants, you have to be innovating every day. And you have to be able not only to have great ideas, but to execute those great ideas. How do you see CAIR-MN changing over the next five years? In five or six years we want to be able to see less of the cases we see. A lot of the cases we see are just so clearly, open and shut, discrimination and it is usually because of a complete lack of knowledge. Right now, we are faced with a tsunami of bad information about Islam and Muslims, that’s building, that’s challenging our work and making it more difficult. I was recently at a governor’s meeting in Saint Cloud, and I stepped out to do a media interview and the journalist said, “This guy just called you a terrorist. What’s your response?” Really. And the governor of Minnesota is there, and everyone is there, and I’m like, “…I am not a terrorist.” Within five years I hope that we are leading the discussion on these issues, instead of constantly being asked to respond to an issue. What are some of the ways we can change the script of folks who immediately think of terrorism when they think of Muslims? So this is the question that’s keeping many of us up at night. We have a very talented and creative artistic community within the Muslim community. I would like to create an ad-hoc committee of photographers, theater people, artists, and say look: We want you to come up with one project a year that somehow addresses this issue. Whether that’s an ad, whether that’s a picture – whatever it is. And then that would be a way to start the dialogue. We all heard about the recent 50th anniversary of Selma, and I think about it as a very positive example of what we need to accomplish. That bridge was not crossed alone. It was crossed with the entire community. And so any time a group of people is coming under attack, the only way you can overcome that tide of bigotry, racism, and misinformation is if the entire community says no to it, and they all walk together over the bridge.